Water damage is one of the most common and costliest disasters your home can experience, costing billions of dollars annually. Learn how to Safeguard your most important asset against water damage with the right practical advice. Inspect appliance hoses and faucets. If you don’t have this routine yearly already then this is something that takes 10 minutes of your time that could save you a huge amount of money. Every year, take time to check hoses leading to water heaters, dishwashers, washing machines and refrigerator ice makers. You can also invest in a water leak monitoring and shut-off system that can alert you to any leakage issues. If you find that any of your hoses have cracks or leaks Immediately replace them all. Replacing hoses should be between every five to seven years. Inspect showers and tubs. Most people do not think to check these areas because typically people assume all water damage is only from the pipes/hoses, but you would be surprised at the amount of showers and tubs that have little to no caulking/seal around their tubs/showers. Make sure to include checking the seals and caulking around showers and tubs to make sure they are watertight and reseal if necessary. Leaving for vacation? Shut off the water supply to the washing machine. Another common mistake people make daily is leaving their home without turning off the supply of water to their washing machine. You should also never leave the house while the washer or dishwasher is running. Know where to locate the main water shut-off valve in your home. A hose that is damaged or a bursted pipe takes seconds to flood your home. Being able to locate and shut off the main water supply quickly as possible will save you stress, money and time. Emergency pressure release valve option. For extra security, or if you simply don’t have the time to check things as properly or frequently you can install a Emergency pressure release valve that is installed into your plumbing system. This option is also not only for people with little time but also for anyone who wants that extra comfort of knowing their home is protected. Check plumbing and heating pipes. Make sure during this step to look closely for cracks and leaks. If you find any cracks or leaks, have these repairs made immediately. Reseal your basement. No one wants to come home to step into a river of water running through your basement. This can often be caused by cracks in building foundations or floor slabs. If you notice water seepage after heavy rain when you've never had a problem, it may mean that your once-waterproof cement floors and basement walls have deteriorated. Painting vulnerable areas with water sealant can prevent seepage. Where does your water drain? 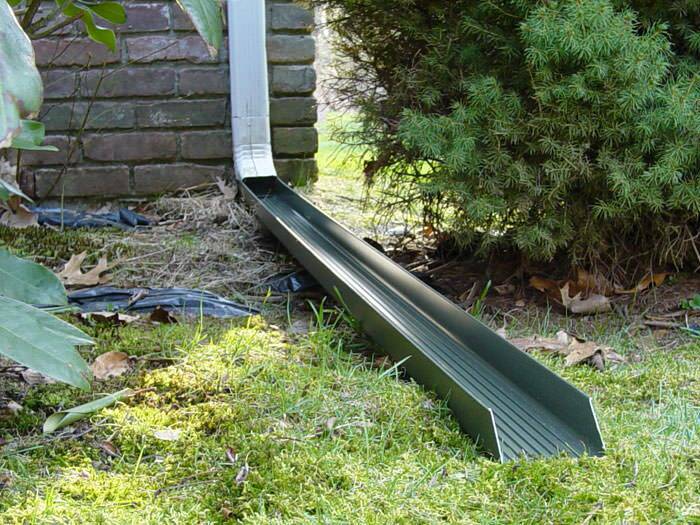 Any drainage that you have needs to Seepage is exacerbated by soil that has settled in a way to make water flow toward the building. After a storm, and especially if the ground is already saturated, rainwater that flows towards the building goes down the outside of the foundation wall potentially through any cracks.